Uncover secret worlds of the marvelous owl in this gorgeously illustrated collection of species from around the globe. Containing 32 lyric creature tales for you to color and explore, this volume is top-shelf material for all ages. 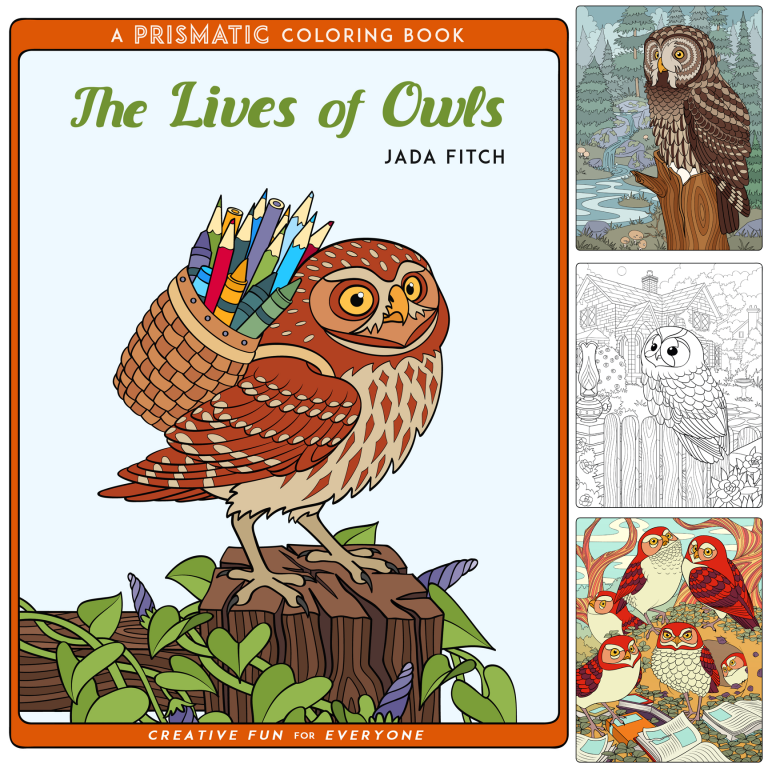 Let extraordinary nature artist Jada Fitch guide you on a bird’s-eye tour through the wonderful Lives of Owls!